Working together, ADI and our supporters have secured a number of local bans on animal circuses across the US and with your help we can ensure that many more are passed! We can provide you with guidance and resources to inform and educate legislators in your town and state. Email usa@ad-international.org today to find out how you can campaign for change where you live. Election time in the U.S. – this is a good time to e-mail, or talk to the Men & Women, running for Senate, Mayor , Congressmen, ask how the feel about “the Traveling Exotic Animals Protection Act (H.R. 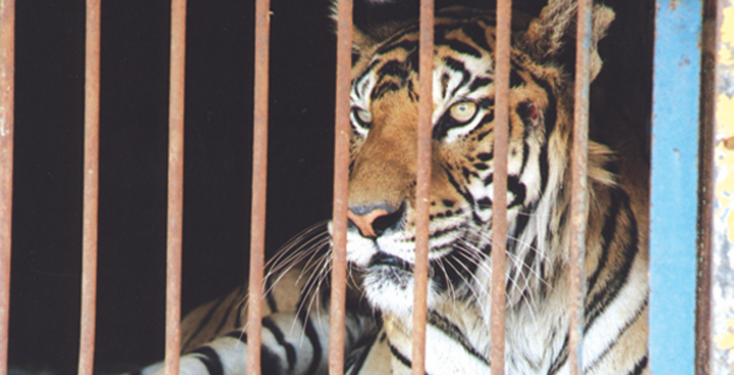 3359) to restrict the use of exotic, non-domestic animals in traveling shows. **** Introduced by Congressmen ‘ Jim Moran” ** will your politician be the first to Ban the Circus in your state??? will they add there name to the bill H.R.3359 ??? Vote for the animals. Excellent story. My Congressman Derek Kilmer.. Port Orchard, Washington is in support of this and all animal welfare bills I have ever contacted him about. Great Congressman. The Cicus is inhumane and needs to Stop exploiting animals! These animals deserve to be free and living their life’s where God meant them to be in the wild, not for people to abuse and use! No one likes the Circus, it’s for trashy people and no one cares to see poor animals being used and abused! Hi. How can I make a difference and campaign in Orlando. Thank you? how can I help in South Carolina?